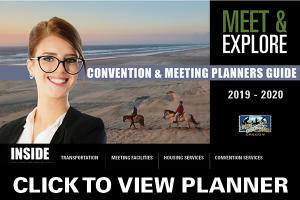 When planning your event, there are always so many things to be done. Sometimes, one of the most overlooked and forgotten items on the agenda is team building activities. Team building activities are a great way to bond with your group, learn to work together, collaborate and grow as a team. 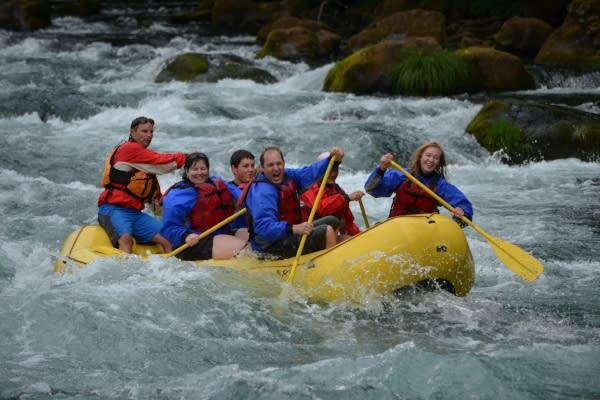 Here in the Eugene, Cascades & Coast region, we are lucky to have a number of unique, exciting activities available that will give you the opportunity to work with your team outside of an office setting. And there’s something for everyone! The possibilities are truly endless. The easily accessible Spencer Butte Rope Challenge course offers a unique experience for working together with your team. There are a number of challenges during this activity, some of which are on the ground and some of which are up in the air amongst the trees. A highly trained staff will guide you through this experience, helping you achieve success and overcome obstacles. Some of the lower level activities include using trees, boards, cables or logs, and all of these activities require group participation. Once you get comfortable with the equipment, up in the air you go! The high elements are anywhere between 25-55 feet off the ground and require balance, precision, and of course, support from your team. This course is completely accessible as well. It’s an incredibly unique experience and you and your group will surely never forget it. In recent years, escape rooms have become a very popular and unique way for a group to work on collaboration and teamwork in a totally unconventional way. Eugene is proud to have a number of different escape rooms that are perfect for you and your squad. Explore all the escape rooms in the Eugene - Springfield metro area and see if you can make it out in time. Your team is given a series of puzzles, riddles and other various mysteries to solve in order to, you guessed it, escape the room! It helps with communication, gives you an inside look at every individual’s strengths and weaknesses, and really builds and strengthens relationships. This experience is another one that’s unique to Oregon, and it’s loads of fun! 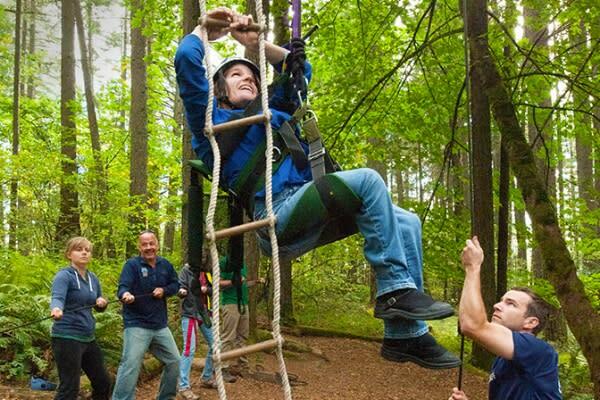 This wet adventure isn’t just for thrill seekers; it’s also a great way to spend time bonding with your team. You can take a guided tour on a number of rivers in our area, and stop along the way for a swim, a picnic, or take photos. Things happen fast on the river, so you’ll have to learn to work together quickly and efficiently in order to make your trip down the river fun and safe. Before you know it, you’ll be paddling your way to a stronger team! 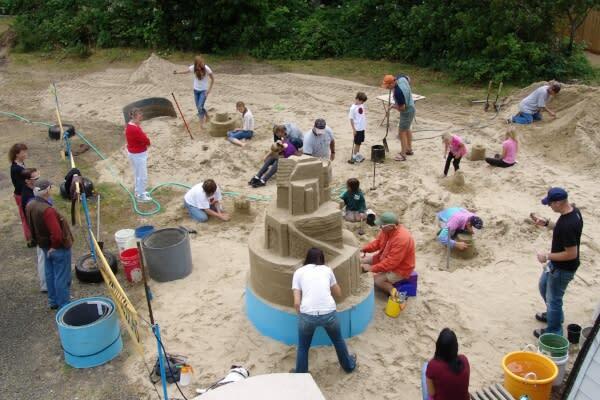 Explore your options at the Sand Master Park in Florence. It’s the world’s first sandboard park, but that’s not the only option. Sandcastle building is a fun activity to do with your team, and if you’re feeling brave enough, you can always take a swing at sandboarding, too! 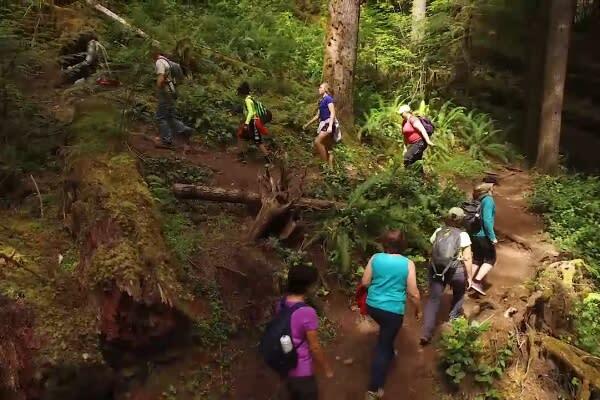 Here in the Eugene, Cascades & Coast region, we are incredibly blessed to have numerous options for hikes in the area, whether they’re coastal hikes, waterfall hikes, or hikes with beautiful lofty views. 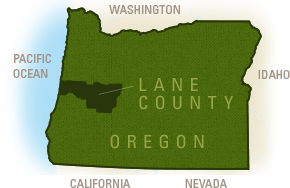 You can visit the breathtaking Sweet Creek Falls, or take a hike up Spencer Butte to get a gorgeous view of Lane County. You can even hike parts of the famous Pacific Crest Trail, featured in the movie Wild (based on a true story) starring Reese Witherspoon. 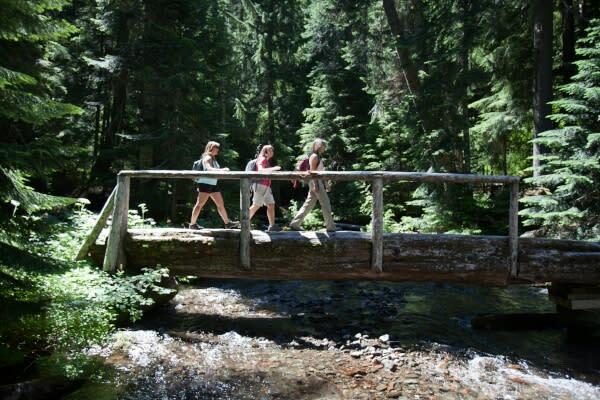 Hiking is a great way to bond with your team, and you can bring a picnic lunch along.